The pot continues to smolder on the subject of who can gain access to one of our most cherished (and supposedly private) legal documents, our DD Form 214s. Yes, it's true that for years we were encouraged to file these documents in the local courthouse or city hall so that when we died our survivors could have immediate access to them. What they didn't tell us was that almost anyone could have access. They also didn't tell us how hard it would be to remove these documents from the public domain once we filed them. In fact, as we have come to find out, it is very difficult - so difficult that many of our state councils have written us suggesting that TROA undertake a legislative initiative for the passage of a federal law that would both regulate how these documents are handled (i.e., who can access the information contained in them) and give the owner of the DD Form 214 the right to remove the document. We've learned that federal law fixes won't help on DD Form 214 protections, because the control of public documents stored in local jurisdictions is a matter governed by state and local municipal laws. Consequently, a number of TROA chapters and state councils have taken on this issue as a state-level legislative goal. One example is Virginia. Recently, the TROA Virginia Council of Chapters was successful in pushing through a state amendment to protect the privacy of DD Form 214 information in that state. A copy of the bill was included in the original article which appeared in the May 2002 TROAGRAM. It can be viewed on the National TROA web site if you do not receive the TROAGRAM. Although there has been some discussion at the Board of Directors meetings and at the luncheons, I am not aware of anyone in our Chapter who has had any specific problem in NH. If you or someone you know has had a problem with protecting the privacy of their DD 214 in NH, please let me know. Obviously, there is little that the Chapter can do if your problem is in another State. I can be reached at: Paul L. Bernard, 329 Clinton Street, Concord, NH 03301. The Chapter’s internet website has moved! And it has been expanded! It now can be found at http://troa-nh.home.attbi.com. If you have not visited the web site recently, you need to check out the new features. Our Webmaster (Michael McLean) has been extremely busy adding new sections, including an electronic version of this newsletter, a list of locations to obtain ID cards, a ready reference of telephone numbers, The 2002 Federal Benefits Book for Veterans and Dependents, highlights of the Board of Directors monthly meeting, members’ e-mail addresses, and much more. While you are on the internet, don’t forget to visit the national TROA site at: http://www.troa.org/. Happy web surfing! All voting members of TROA will have the opportunity to vote during the balloting period commencing August 1, 2002. The ballot will include other voting issues such as the election of new Board members and will be mailed as a wraparound to the August issue of The Retired Officer Magazine. The ballot will ask members to vote “Yes” or “No” on the name change proposal. The proposal will be decided by a simple majority of the votes received. 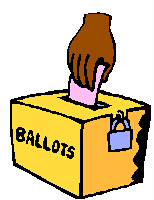 In order to have your vote count, you must return your completed ballot postmarked no later than September 18, 2002. If you do not receive your August issue of The Retired Officer Magazine or the ballot is missing, you can obtain a replacement ballot by contacting TROA by e-mail or calling TROA at (800) 245-8762 after August 1st.